PH scale goes from 0 to 14. Normally, we think of neutral as being 7.0. However, it is not wrong to have a range for that definition. Distilled water has a PH of 7.0, salt water 8.0, milk and saliva are about 6.3. So milk is the stuff in milk shakes that I readily put into my tummy. That saliva stuff is what the pretty girls used to leave on my cheek when she kissed it. OK, I can be pretty neutral on that. Thanks for the update, I did look for my slide rule in case we needed it. I think it must be stored in the same place as my youth. Slide rule? EEEGH-that's how to make SOME folks really feel old! LOL! Hi Nick - Is it safe to say this product removes all wax and sealant? Or is an IPA wipe down after second still recommended before applying sealant/wax? Thanks!! Anyone else know if products like this generally remove some or all wax/sealant? D1801 may compromise your existing wax to some extent, depending on whether it's a carnauba wax or a synthetic sealant, and how long ago it was applied (ie, how much is really still there). 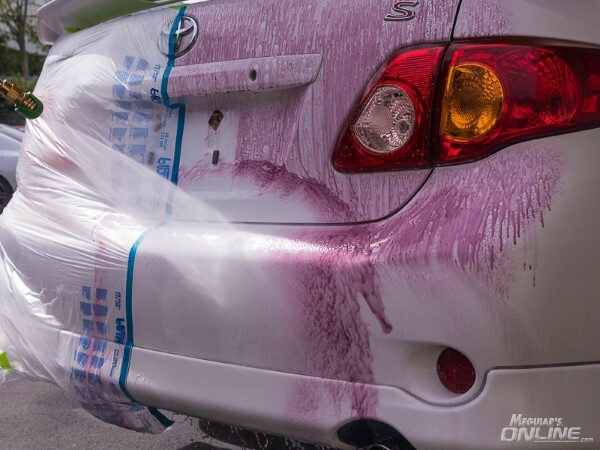 But since this product is generally used as part of a decontamination process prior to more extensive correction work, whether or not it will strip wax is usually not a major concern. Everything else you're going to be doing will take care of that! Now, if you're asking because you want to strip wax as part of a full decon process prior to machine polishing, then the answer remains the same - it will likely compromise the existing wax at the very least. Again, since you're going to be doing other steps (claying is likely still needed as this product primarily attacks ferrous contaminants) then you'll be pretty effectively killing off that remaining wax/sealant. If you happen to have a paint coating on the car, this will not knock it down. Thanks!!! Is it better to spray on dry paint and wheels or wet? After our first couple of weeks in use, I'm convinced this product is on par with our previous iron (X) decontaminator, and priced better. Thanks for filling another spot in the detailing arsenal. parker, I'd add that in most cases you'll use this on a wet car, after all you want to wash most of the dirt and debris off before applying the Iron Decon. Where I wouldn't dry the car before applying, it is beneficial to spray it on a surface that has drained itself of MOST of the rinse water after washing. If you apply it while the car is still flooding water off the surface you're likely to wash away a good portion of your Iron Decon. If you apply it to a bone dry area, just make sure that you don't allow the Iron Decon to dry while you're waiting for it to do its job. So my answer is YES and NO. I would agree with HCAD's recommendation below, regarding whether to use on dry or wet paint. 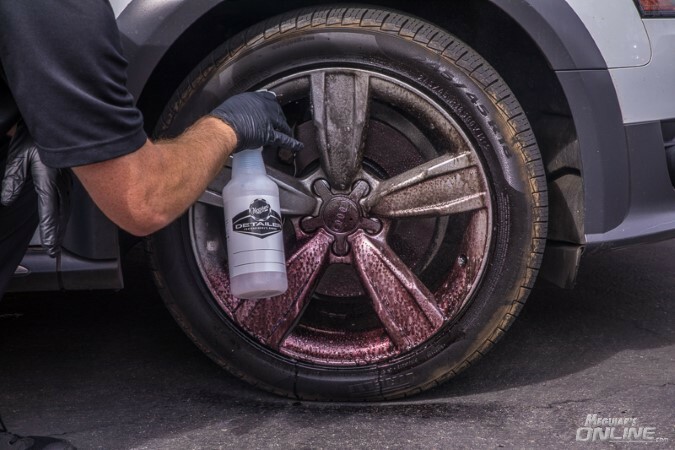 This may not be a fair comparison, but I am curious on the differences - how does this compare to Ultimate All Wheel Cleaner?